I’m pretty new to steampunk honestly, but for some reason this story is intriguing me and I just NEED to read it. Alternate Victorian worlds, clock towers who control everything, time stopping, clock spirits, for fans of Cassandra Clare and Victoria Schwab… Say no more, I’m in! I’ve only read a little steampunk, and I want to try more. I’ve liked some of it. This one does sound good, and the clock towers and alternate world- I’m kinda curious! This book sounds fascinating! It feels very fairytale but not. And the description reminded me of Neil Gaiman for some reason. 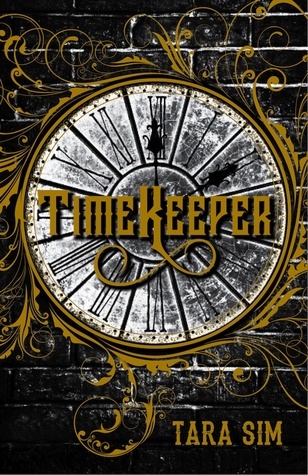 Thanks for bringing Timekeeper to my attention! You’re welcom, I hope you’ll enjoy this one! Ha! We have the same pic this week!!! 🙂 Great minds, great minds. I am totally looking forward to this one myself o.o it looks good. Ohhh that one sounds interesting! I don’t read a lot of steampunk, but after reading this synopsis, I feel like I should 🙂 Thank you so much for bringing this book to my attention! Marie @ Drizzle & Hurricane Books recently posted…Twitter: the dark side, or the light of the blogging community?